Water content and the internal evolution of terrestrial planets and icy bodies are closely linked. The distribution of water in planetary systems is controlled by the temperature structure in the protoplanetary disk and dynamics and migration of planetesimals and planetary embryos. This results in the formation of planetesimals and planetary embryos with a great variety of compositions, water contents and degrees of oxidation. The internal evolution and especially the formation time of planetesimals relative to the timescale of radiogenic heating by short-lived 26Al decay may govern the amount of hydrous silicates and leftover rock–ice mixtures available in the late stages of their evolution. In turn, water content may affect the early internal evolution of the planetesimals and in particular metal-silicate separation processes. 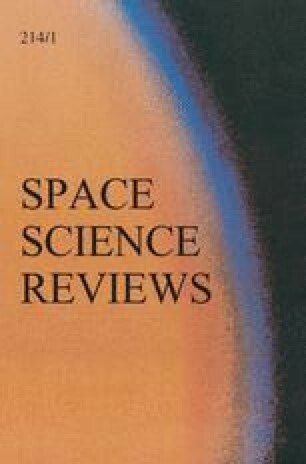 Moreover, water content may contribute to an increase of oxygen fugacity and thus affect the concentrations of siderophile elements within the silicate reservoirs of Solar System objects. Finally, the water content strongly influences the differentiation rate of the icy moons, controls their internal evolution and governs the alteration processes occurring in their deep interiors. We thank L. Elkins-Tanton, A. Morbidelli and two anonymous reviewers for detailed and thoughtful comments that helped to improve the manuscript. D.C.R. was supported by the European Research Council Advanced Grant “ACCRETE” (contract number 290568) and additional support was provided by the German Science Foundation (DFG) Priority Programme SPP1833 “Building a Habitable Earth” (Ru 1323/10-1). J.M. was funded by the Auvergne Fellowship program. This is Laboratory of Excellence ClerVolc contribution no. 283. G.J.G. thanks Taras Gerya for providing the code I2MART. G.T. acknowledges support from the project ANR OASIS.